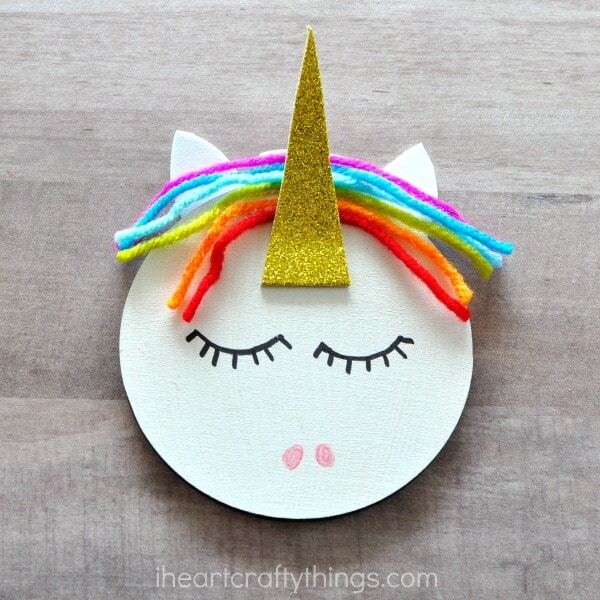 Do you have unicorn fans at your house? My daughter is obsessed with them so this year we are excited to add a DIY unicorn Christmas ornament to our Christmas tree. 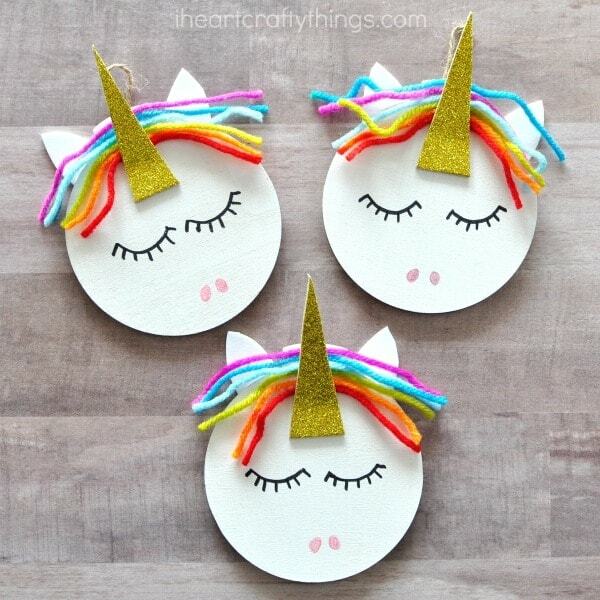 These colorful unicorn Christmas ornaments are super simple to make so even kids can tackle making them as a fun Christmas craft activity or for homemade gifts. 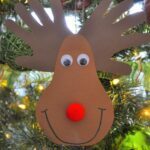 The ornaments can also be easily customized with different colors of paint and yarn so every child can enjoy create their own custom magical unicorn Christmas ornament. 1. 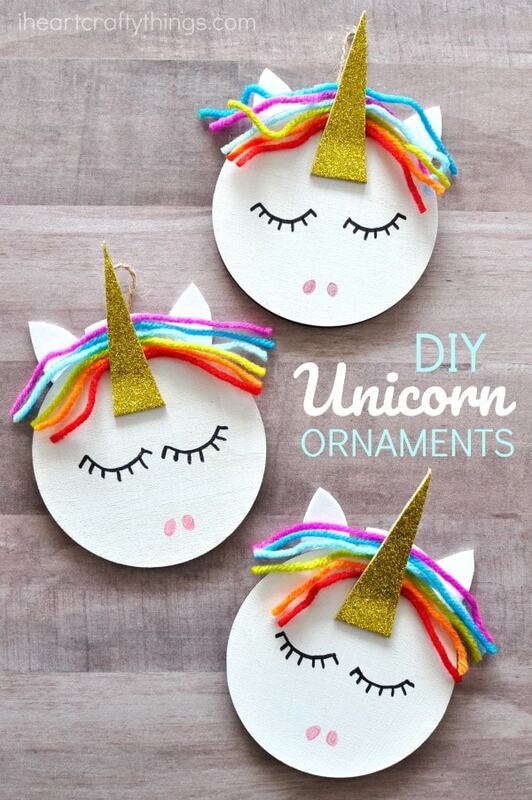 To start making your unicorn Christmas ornament, paint your wooden bauble with white acrylic paint. Let the paint dry completely. 2. While the paint is drying cut out a unicorn horn from your gold glitter sticker foam sheet and two ears from your white foam sheet. 3. Cut out several sections from your multi-colored yarn and layer them together to make a rainbow. 4. Add Tacky Glue to the top of your painted bauble and glue the rainbow strands of yarn onto it. Trim down the yarn strands if needed. 5. 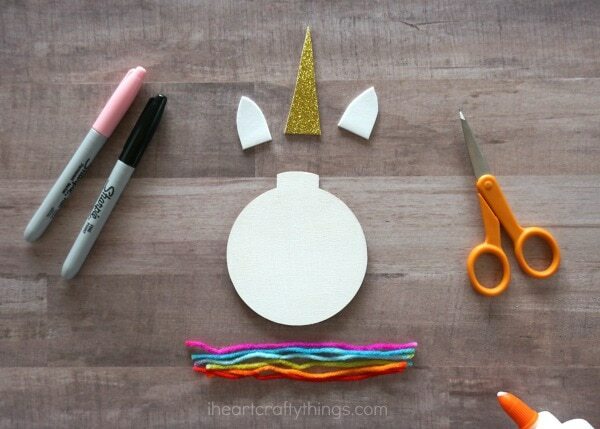 Attach the horn onto your unicorn ornament and then glue the ears onto the back of your unicorn. 6. Finish your unicorn Christmas ornament by using a black and pink permanent marker to draw eyelids, lashes and nostrils onto your unicorn. 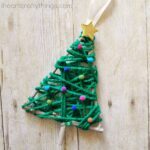 Looking for more awesome DIY ornaments? 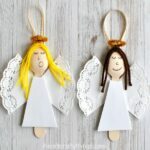 You’ll love these wooden spoon angel ornaments or this yarn wrapped Christmas tree twig ornament. We also adore these paper cardinal ornaments over at Red Ted Art.